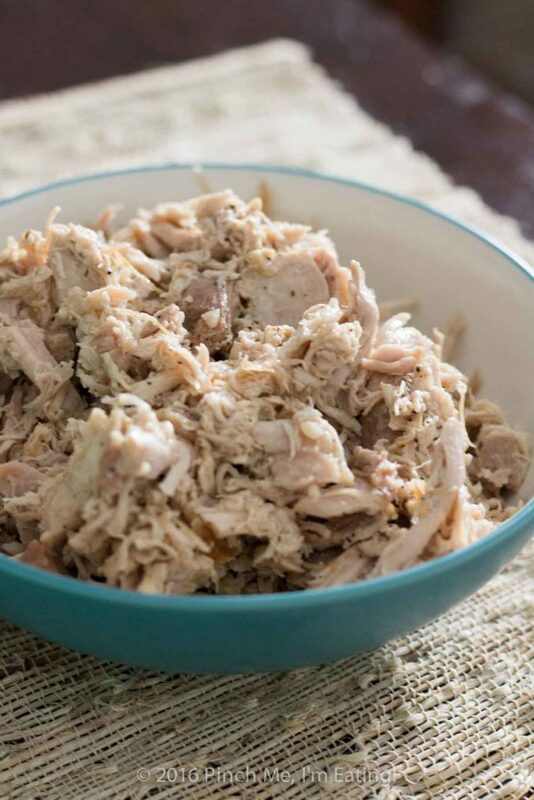 How to Make Shredded Chicken for Recipes in 30 Minutes or Less | Pinch me, I'm eating! 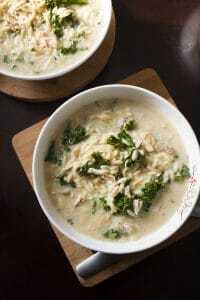 Once you learn how to make shredded chicken with this easy stovetop recipe, you can always have tender, juicy chicken on hand for use in recipes that call for diced or shredded chicken. 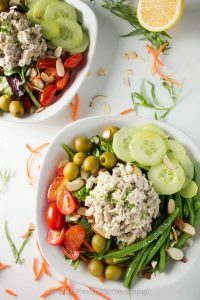 Make this start to finish in under 30 minutes and use immediately or freeze for later! 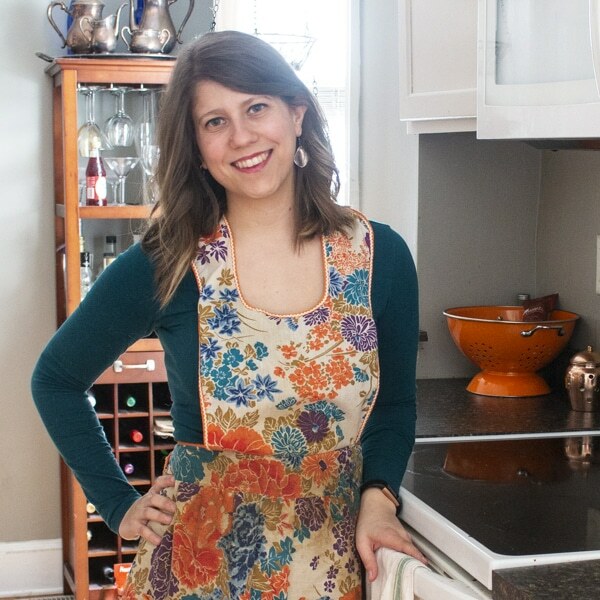 I love to cook and I often find making a labor-intensive, time-consuming recipe to be meditative and relaxing. Plus, you can get some really exciting results when you spend some time, like with this white chocolate mascarpone ravioli with raspberry sauce. Definitely requires a lot of prep, but the results are worth it. However, I’m only human, and nine times out of 10 these days, I come home after a long day of work and fall into a lethargic pile of blankets on the sofa and it’s hard to overcome the inertia. An easy meal is the only thing I can manage, and having diced and shredded chicken on hand helps keep me from eating frozen pizza and Kraft mac ‘n’ cheese five nights a week. 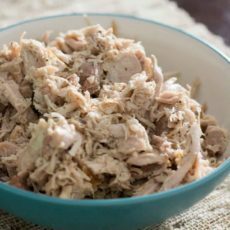 Once I discovered how to make shredded chicken for use in future recipes, it became my number 1 time-saver in the kitchen. 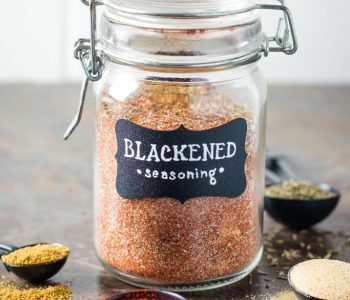 This recipe is easy enough and hands-off enough that you can make it on a second burner on the stove while you’re cooking dinner. 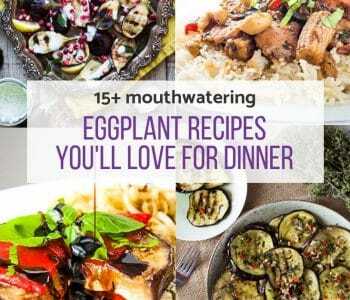 It doesn’t add any time to that night’s dinner, and then you’ll have a big batch on hand to to save you time, effort, and dishes later in the next week or two. 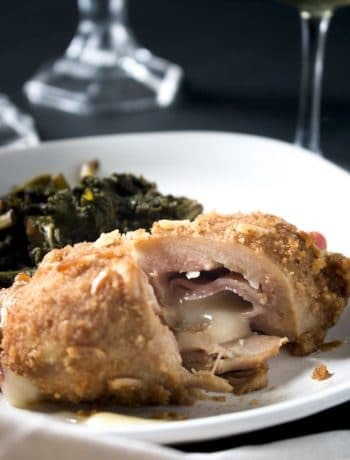 You can make this with any amount of chicken, but I like to get the value packs of boneless, skinless chicken thighs or breasts and make it all at once. I shred some, dice some, and put it in freezer baggies pre-measured in 1- or 2-cup portions. Then, when I need some diced or shredded chicken for recipes or to top a salad, I just thaw a bag and voila! Preheat the biggest pan you have (that has a lid) to medium high. I open the top of the package of chicken and sprinkle the whole thing with kosher salt and pepper without even taking it out of the package. 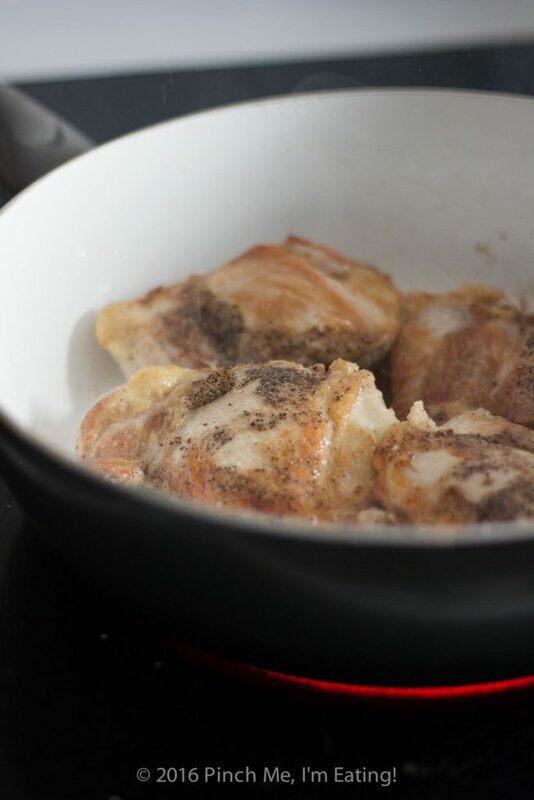 Swirl a little olive oil in the pan (about 1 tbsp) and add the chicken, seasoned side down. Add as many pieces as will fit in the pan without overlapping. Salt and pepper the side facing up once it’s in the pan. Cook it for 7 minutes without moving the chicken. This allows it to get a nice browned crust on the first side. 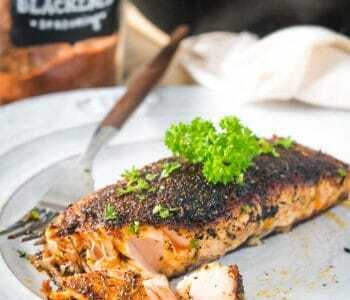 It adds a bit of caramelized flavor to the chicken and keeps it from being bland. After 7 minutes, flip the chicken over, add a little water (about 1/2 to 3/4 of a cup), reduce the heat to medium low, and cover the pan. Cook for another 7 minutes, or 8 if you have really thick chicken breasts. If you have a lot of chicken and you’re doing it in multiple batches, repeat the process with the next batch. That’s it for the cooking! Then you just let it cool for a couple minutes and shred, slice, or dice it. I’ve always found shredding chicken to be a big pain in the you-kn0w-what. The whole two-forks thing, being impatient and wanting to do it before the meat is really cool enough to handle, and trying to shred it while ignoring steam burns from piping hot chicken. It’s not fun, and it always takes much longer than I want to get nice shreddy-chicken. Not the hands-off easy recipe of my dreams. But… what if I told you you didn’t have to lift a finger to make the most perfect shredded chicken? What if I told you it would only take a couple minutes to shred the whole batch, no burns necessary? 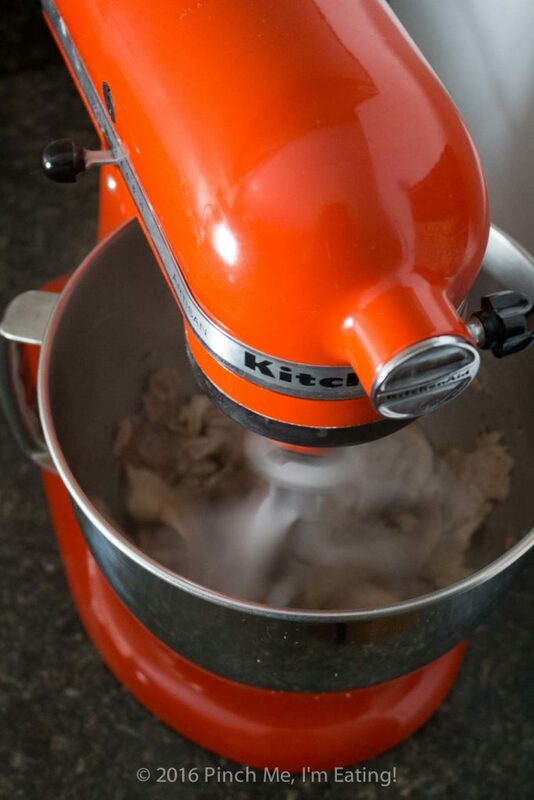 Let me tell you how to make shredded chicken in a stand mixer. Seriously, I don’t even pre-cut it into smaller pieces or anything. I just throw the chicken straight in there in whole pieces. Just use the paddle attachment, lock it in the down position, and put it on the lowest “stir” setting. And let it go for a couple minutes until the chicken is your desired amount of shredded-ness. I’ve said before that if this was the only thing I used my stand mixer for, it would be worth the initial purchase cost. Luckily, it’s also great for baked goods and pasta, but man! Shredding meat in this thing is just awesome. 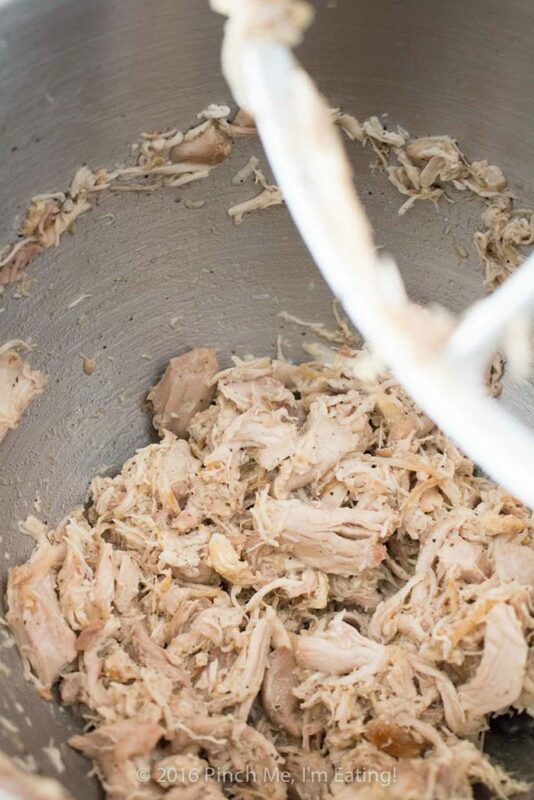 Now that you know how to make shredded chicken with a stand mixer, will you ever use your forks again?! Let it cool for a few extra minutes and shred with two forks. No biggie. If I’m making a big batch of chicken, I’ll shred some of it and dice some of it so I have just what I need when I am making a recipe. 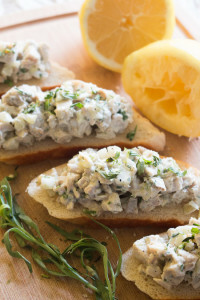 Here are a few examples of recipes that use pre-cooked diced or shredded chicken. 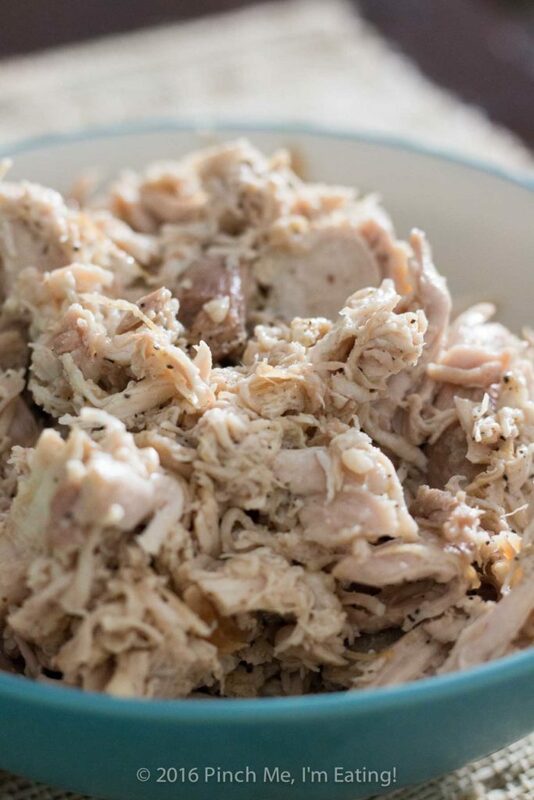 I hope you find this recipe for how to make shredded chicken as helpful as I did! 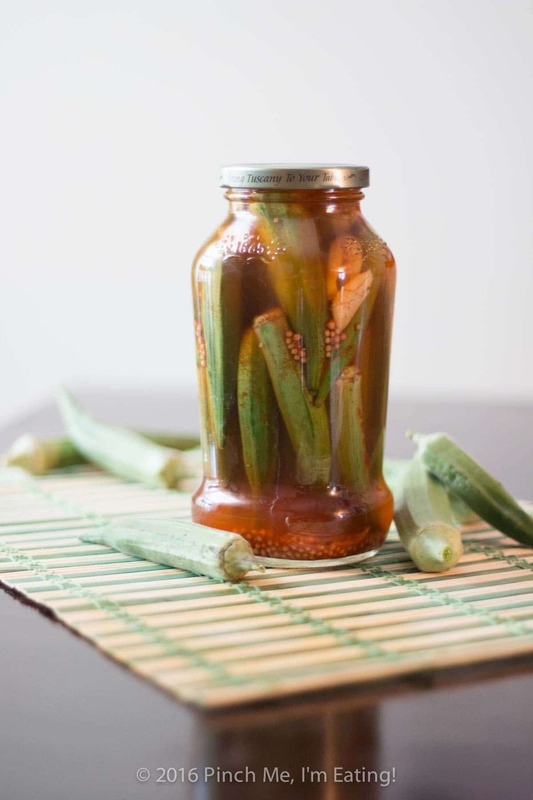 Will you make a big batch this week? I sure will! 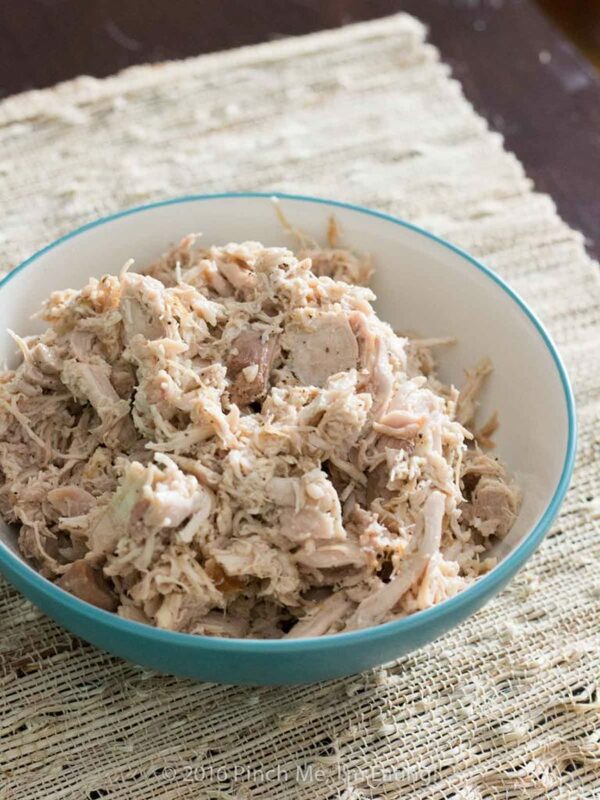 How to make shredded chicken for recipes in under 30 minutes! 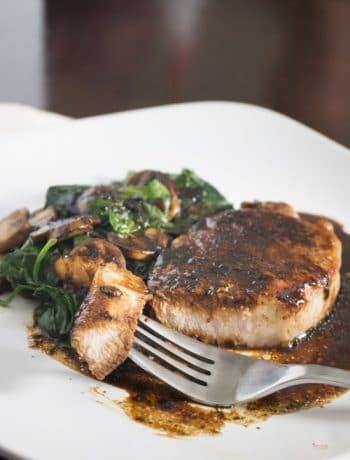 Flavorful, juicy, and great to have on hand for recipes!Adapted from Mel's Kitchen Cafe. Preheat a large pan to medium-high and add about 1 tbsp olive oil. Sprinkle chicken with salt and pepper and place seasoned-side down in the pan (as many pieces as will fit without overlapping). 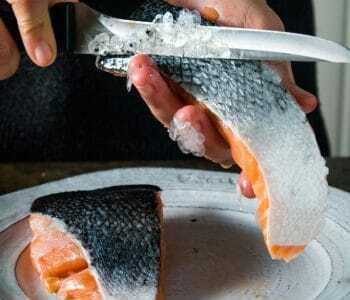 Sprinkle the facing-up side with salt and pepper. Cook for 7 minutes without moving the chicken. 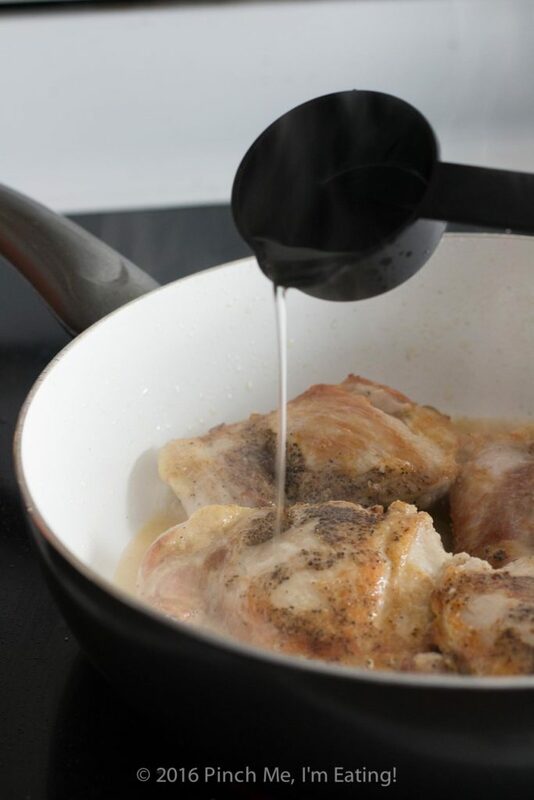 Flip chicken over and add 1/2 to 3/4 cup of water. 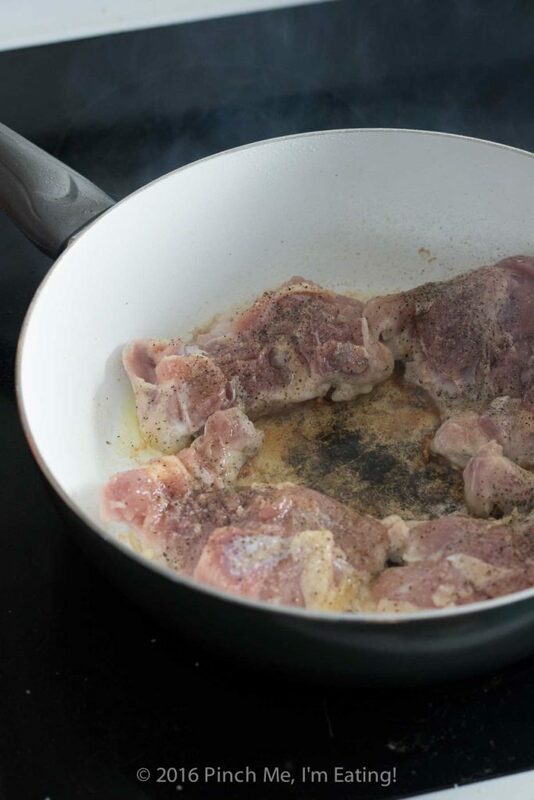 Cover the pan and reduce heat to medium low. Cook for an additional 7 minutes, or maybe 8 if you have thick chicken breasts. Remove from heat. 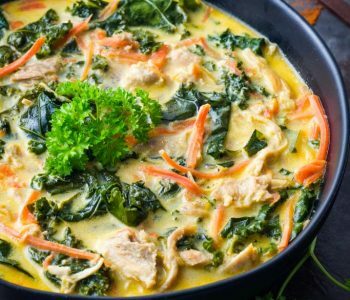 If making chicken in multiple batches, repeat with the next batch. Cool slightly, and slice, dice, or shred. 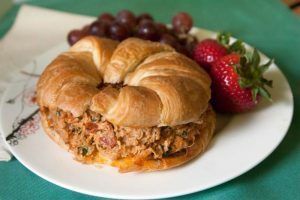 Divide into 1- or 2-cup portions and freeze in freezer bags for easy use in future recipes. 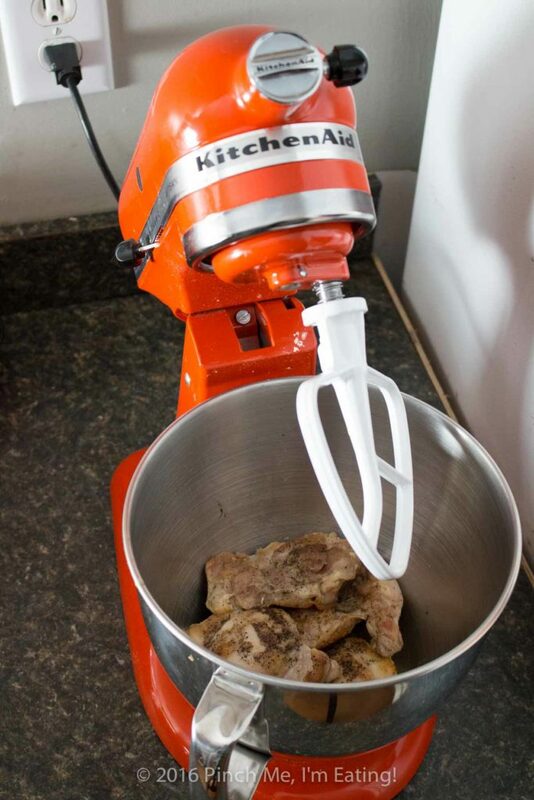 To shred chicken easily, put chicken into the bowl of a stand mixer fitted with the paddle attachment. Lock the arm down and put on the lowest stir setting. Let it mix for a couple minutes or until chicken reaches desired level of shredded-ness. You are one clever woman! 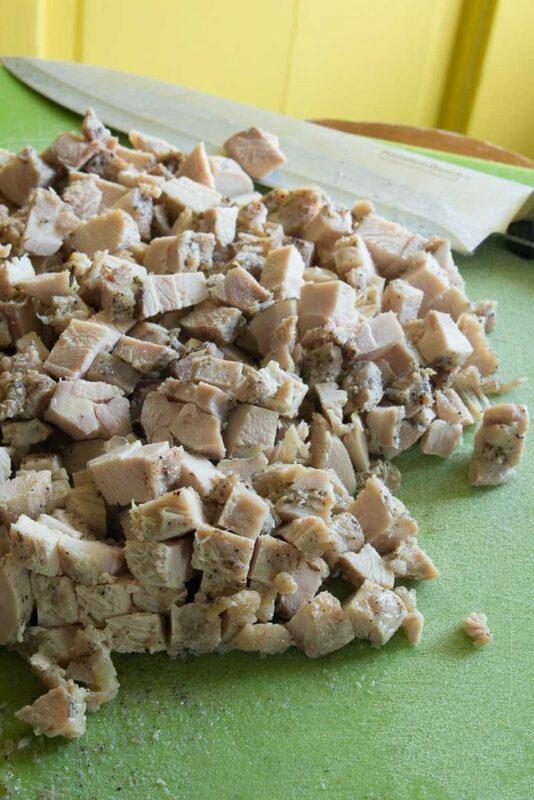 Like you, I make stuff in bulk and freeze it in portions… but never have I done it with chicken! Brava! But yeah, it is so helpful to have recipe-ready cooked chicken in the freezer at all times!